Fox Den - Trompsburg Accommodation. The Fox Den is ideally situated 3 kilometres off the N1 in the town of Trompsburg, 110kms north of Colesberg and 120kms south of Bloemfontein. The position is wonderful for anybody wishing a relaxing stop over when travelling between North and South. 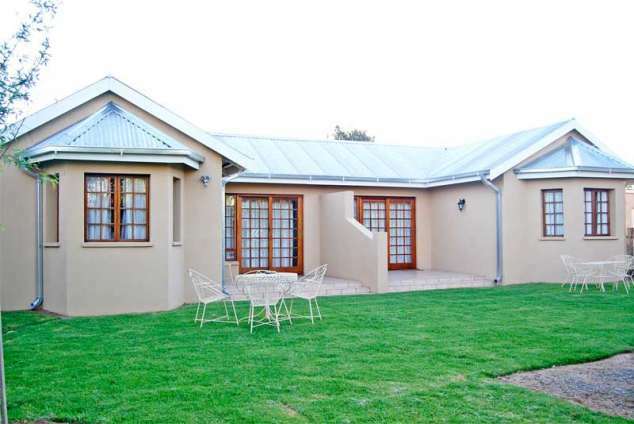 The Fox Den has 13 self-catering units that can comfortably accommodate 2 to 6 guests respectively per unit. All of the units have showers in and the 2 bedroom units has a full bathroom with a bath and shower in the units. The kitchens of the units are fully equipped, all are equipped with a TV in each unit with DSTV decoders with the hotel package available. All of the units are equipped with ceiling fans for the summer, and electric blankets are supplied for the winter months. All linen and towels are supplied. Came and enjoy our starry nights with a pleasant fire going and lovely piece of karoo lamb (Braai packs can be ordered before hand), or visit one of the 2 restaurants in town or the bakery just up the street. Breakfasts are supplied in the form of a health breakfast that consists of muffins, yogurt, cereals and juice. Complimentary coffee and tea are supplied in the units. 18049 page views since 22 Nov, 2007. Last updated on 01 Mar, 2019.